Last week, I heard an agent refer to the importance of a “thoughtful online presence” and at first, the phrase zipped right past me. Yeah, yeah, a website. Got it. But then, I needed to check a list of author websites. And as I pulled up each name, that phrase came back to me. It was easy to see who had a thoughtful online presence—and who did not. By the time I’d finished checking a ton of websites, I’d learned a few things. But mostly, I learned that a little bit of thought can make a big difference in what people think when they see you on the web. If you want people to think you’re a professional, skilled writer, then keep your website free of spelling and grammar errors. It’s fine if you have a misspelling as a play on words or if your writing style is conversational in a blog post. But if you have “Welcome to This Writers’ Home’s” in your web title, in big, block letters, you might need to brush up on those pesky possessive rules. Finally, choose the kind of writer you want people to see. When a person lands on your website, will they know instantly that you’re a romance novelist? Or a children’s writer? A poet or an essayist? Have you honed in on your niche, and does your website reflect that focus? I think this might be hard for those of us like me, who might pen fiction as well as non-fiction, or write for children as well as adults. But it doesn’t mean we can’t keep writing whatever we want; it means accentuating what we want the world to see--and think--when they first meet us. I suppose, then, that a website should get to the heart of the writer. That's what matters in a thoughtful online presence. So, yeah, I've got some website work to do. How about you? Very thoughtfully written and a great reminder. Thanks! I have two blogs and both have been a learning journey. I think the word that I try to keep in mind is "intentional". I try to make everything I post and intentional reflection on what I'm trying to do,and the readers I'm trying to attract. My results are hit-or-miss sometimes, but at least intentional. Yeahyeahyeah. I have lots of work to do as well. This is harder to do than it sounds! Getting rid of spelling and grammar errors is a great place to start. That's a consolation for those of us - like me - who are still fine-tuning our focus! I am working on this right now, so this is very timely for me. 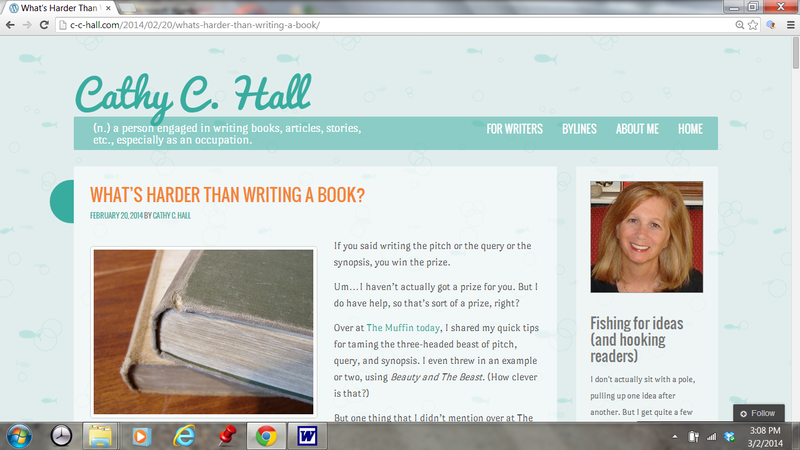 :) I just put a new theme up and am changing some things around and trying to be more smarter and simpler! :) But I need to work on my About ME and make it NOT sound like an encyclopedia. Thanks for the reminder! Intentional's a good word, Julie. I also think most of us writers sort of meander about, fine-tuning our focus as we go, till one day we think, "Oh, yes. That's it." Whew! It takes a lot of writing to work through the process! You know what might be a great idea? Have a group of us who comment on your blog zip around and visit each other's sites, and share some ideas about what's great and what might need a little tweaking. Of course, we all have to have thick skins to make this work. But I think it could be helpful. You always have the greatest tidbits of advice that really stick with me. Thank you. I like the static idea. Although I do blog regularly, I have times where a couple of weeks will go by without a post and I think that removing the dates from my posts is a great idea. I really need to work on categorizing the posts as well, but geez that is such a daunting task. I wish I would have been more organized from the start, but organization in not a strength of mine that is for sure.